Are you in need of your turbo to be balanced? Well we are equipped with the latest turbo balancing technology and machines. We are currently equipped and using the latest VSR High Speed Core Balancing as well as four-plane Dynamic Balancing machines. What is Four-Plane Dynamic Balancing technology? It is a technical computerised state of the art machine used to balance turbo rotor assemblies with a capacity of up to 20kg in weight as well as being 400mm in diameter. Here our turbochargers are assembled from component parts which are separately balanced using conventional low-speed, hard bearing balancing machines as well as both turbine wheel and compressor wheel are balanced in two planes. All of our turbocharger balancing processes are regularly tested in house, under our strict ISO 9001 quality control programme, giving our specialist the most accurate reports. Ever wondered why you may have a noisy turbo? This may be due to balancing problems. At the turbine end the balance is not affected by assembly into the cartridge however at the compressor end of the turbo, small errors in the shaft, wheel and the thrust collar and retaining nut (sometimes referred to as a nosenut) can cause a turbo balance error. At high speed can result in the turbocharger being unusually noisy and is likely to lead to premature bearing failure. Running the assembled cartridge at high speed, measuring the vibration response and then either removing material from the nose or changing the assembly position to achieve acceptable balance can correct the imbalance. During this process the turbo is run at speeds close to the normal service operating speed, which typically is between 100,000 to 200,000 rev/min but this does depends on wheel size. 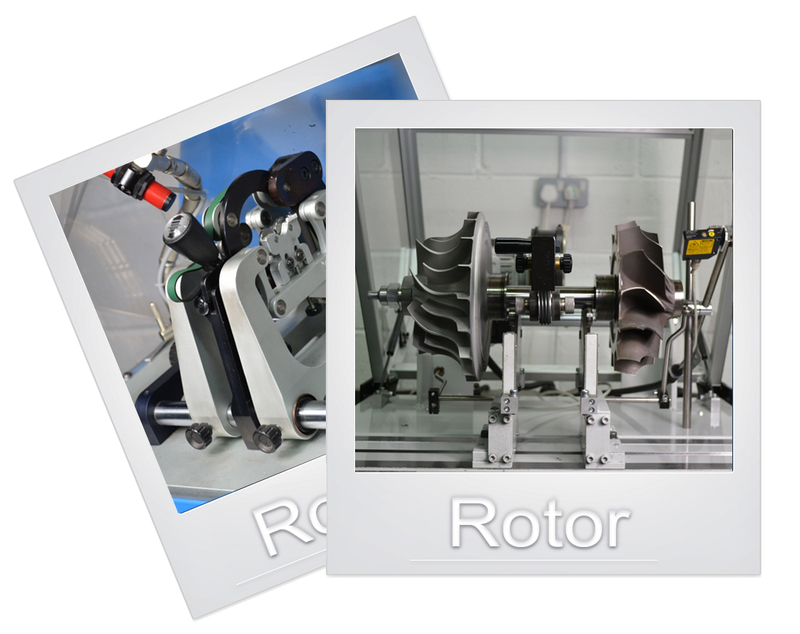 We are equipped with four-plane Dynamic Balancing technology with which we balance turbos using computerised state of the art machines with rotor capacities of up to 20kg and 400mm diameter. These machines are the first step in balancing a turbocharger and are used to ensure the rotor assembly (compressor wheel and turbine wheel) are balanced as a pair when assembled. Tiny amounts of material are removed from the rotor assembly to bring the balance to an acceptable level – whilst the exact balance specifications vary between turbos it is worth pointing out that all our balancing specifications call for a smaller level of inbalance than the turbo manufacturers themselves. If you have any questions or queries regarding our Rotor balancing or other services please don’t hesitate to ask. Visit our contact page to find all the relevant details. We are equipped with the latest VSR High Speed Machine for all Turbo Balancing, with the machine calibrated up to 230,000 RPM! 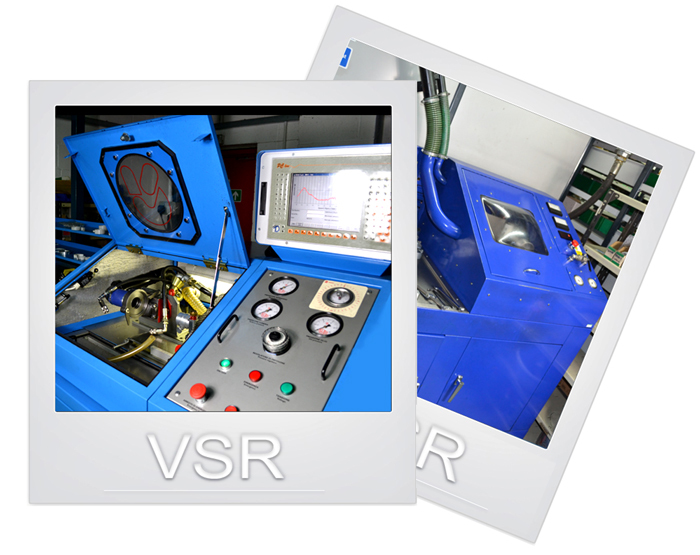 The VSR machine looks for, and measures, vibrations during the acceleration and deceleration of the turbocharger core assembly. Our skilled technicians then remove material to bring these levels down. 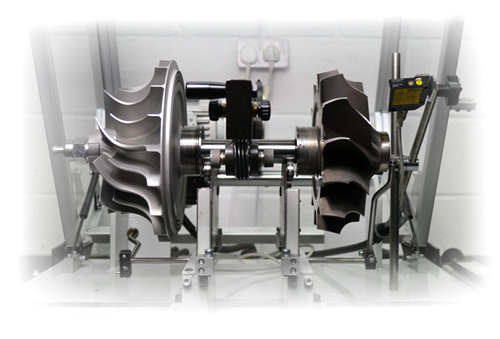 VSR balancing is usually a second operation carried out after the initial rotor balancing of the turbocharger. Whilst the VSR balancing machine is predominantly used for turbocharger balancing we also, sometimes, use it for fault diagnosis – the machine runs a constant 4 bar of oil pressure and so allows us to test turbochargers for oil leakage at various rotor speeds. In 2013 we were approached by a well-known video games manufacturer to help them record turbo noises for the latest game in a franchise, 'Need For Speed'. We, successfully, used one of our VSR balancers to replicate the rotor speeds and performance most likely to be seen on the road.